I have no idea if there is a plan, I’m not sure if I believe in destiny but I will tell you a story and let you decide what you think when it comes to a “plan” or the destiny of my family. Two years before Gabby got sick I was going to have a vasectomy. I was blessed with three amazing, intelligent, and beautiful little girls. I was done. The baby train was over, it was time to move on from that phase and watch our children grow. I went to the doctor, the procedure was explained to me and an appointment was set. A week before the vasectomy I told Carolynn I didn’t want to do it. I didn’t have a reason, I didn’t want more children but I just didn’t want to have this procedure done. We agreed that I would cancel the appointment and we could talk about it again another time. That decision lead to the opportunity to bring new life into our family after losing Gabby. On January 16th, 2013 Alexander Gabriel was born. I then go even deeper; I start to realize had Gabby not died, there also would not be an Alexander. Carolynn and I have asked ourselves would we go back and change it if we could? That change would mean Alexander wouldn’t exist. It’s a question that can’t be answered of course and one that probably shouldn’t even be asked. I love Gabby and I love Alexander equally without question. I want a world where they both exist but that can never happen. So I look forward at yet another gift I have come to realize, Gabby gave us Xander. If Gabby hadn’t died there would be no Get Well Gabby Foundation. All the money that has been raised and donated to Children’s Hospitals and directly to children and their families fighting pediatric cancer from the organization would never have happened. Another gift from Gabby to these hospitals and children. The loss of Gabby helped us gain perspective, a new outlook on life. We will never know the “WHY” but we do know the “ How we will accept and use it for good”. Xander just turned six on January 16th. He has been alive now longer than Gabby was. This whole past year we were worried that he wouldn’t get past the dreaded five. We breathe slightly easier now knowing he’s past it. He knows all of his sisters especially the one in heaven. We sit down as we have always done as a family and read every night. It started with me reading to Carolynn’s belly as she was pregnant with all four of the kids and continues to this day. Every night the electronics get put on the table and the books come out. We used to read to the girls, now they sit with us and read on their own. Xander has started reading; he reads to us, we read to him. Books are an escape better than any phone, any Ipad or any Netflix Binge. You can use your imagination to travel to wherever you are reading about. The Get Well Gabby book drive is near and dear to our hearts. We collect new books and donate them to children’s hospitals for these brave warriors fighting; we have donated thousands of books to over thirteen children’s hospital across the nation. The books in these hospitals go quickly because once a child is given one it’s theirs to keep. These hospitals need a continuing supply of books. That’s where The Get Well Gabby Foundation comes in. We hold this book drive in order to keep the supply there, in order to make sure these kids have an escape, even if its just for a few minutes while their parents are reading to them. Thankful for every moment they have left with them because the truth is not all of them will see their children’s next birthday. So please help us. 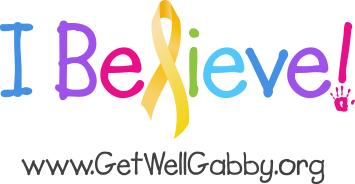 I am asking that as soon as you get done reading this please donate children’s books to The Get Well Gabby foundation. Donations of gift cards or money can be sent to PO Box 555 Ocean View DE 19970 or you can donate books directly through Amazon Smiles using this link https://www.amazon.com/registry/wishlist/3W2VBPG9CNO4N/ref=cm_sw_r_cp_ep_ws_AgCyBbQWQ3MRB and books can be sent directly to us. We will make sure they get to the Children’s hospitals that need them. With your help we will make a difference. Yes we want you to share this, and yes if you can’t donate books donate what you can, $1, $2 $6, $20 or whatever you can manage, it will help us get books in these children hands. Normally I try to come up with some profound statement at the end of these blogs. Today I don’t have one. I’ll I can say is Happy Birthday Xander, I won’t take any of your birthdays for granted. Please help, Please donate books to the foundation today.